This workshop explores feelings, concentrating on what makes us happy and how we can respond if someone is being made to feel unhappy. Designed for Anti-Bullying Week 2015. Suitable for F-KS2. 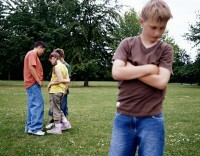 An art and craft based activity focussing on similarities and differences, and how this relates to bullying. Designed for Anti-Bullying Week 2015. Suitable for F-KS1. A circle discussion based activity focussing on feelings and how we can respond if someone hurts our feelings. Designed for Anti-Bullying Week 2015. Suitable for F-KS1. A high-energy statements based activity encouraging young people to think about their views on bullying and consider what role they can play in taking a stand. Designed for Anti-Bullying Week 2014. Suitable for children aged 7+. A fun and engaging lunchtime/breaktime game to encourage young people to explore our collective role in tackling bullying. Designed for Anti-Bullying Week 2014. Suitable for all. A music, poetry & drama based project for young people, based around an anti-bullying rap. Designed for Anti-Bullying Week 2014. Suitable for KS3 – KS4+. A design based project which challenges young people to develop a public awareness campaign for their local community. Designed for Anti-Bullying Week 2014. Suitable for KS4+. A art based project to support children explore the concepts of ‘friendship’ and ‘friendly behaviours’. Designed for Anti-Bullying Week 2014. Suitable for F – KS2. 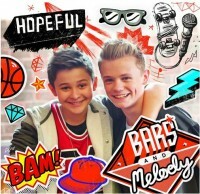 A video based assembly presentation, using the song ‘Hopeful’ by Bars and Melody, around positive messaging for young people experiencing bullying. Designed for Anti-Bullying Week 2014. Suitable for KS3 – KS4+.